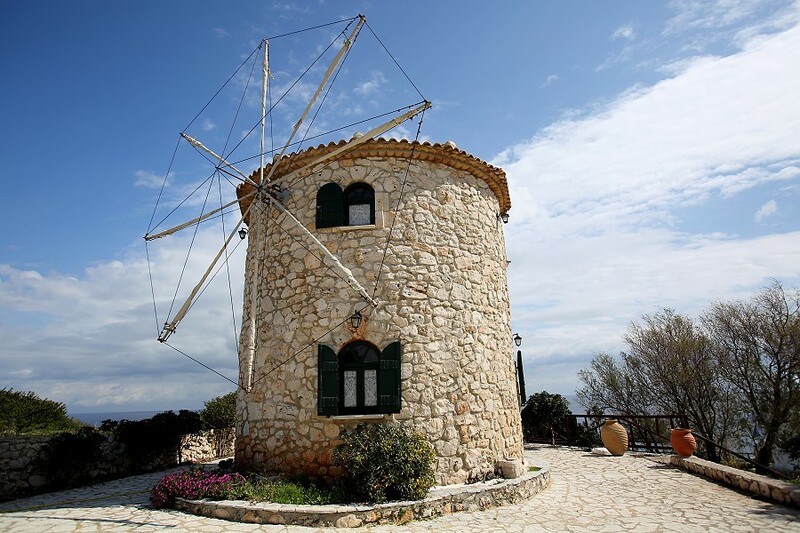 We offer 2 windmills that can accommodate 2 people, 2 stone rooms suitable for up to 2 people and a stone apartment also suitable for up to 4 people. 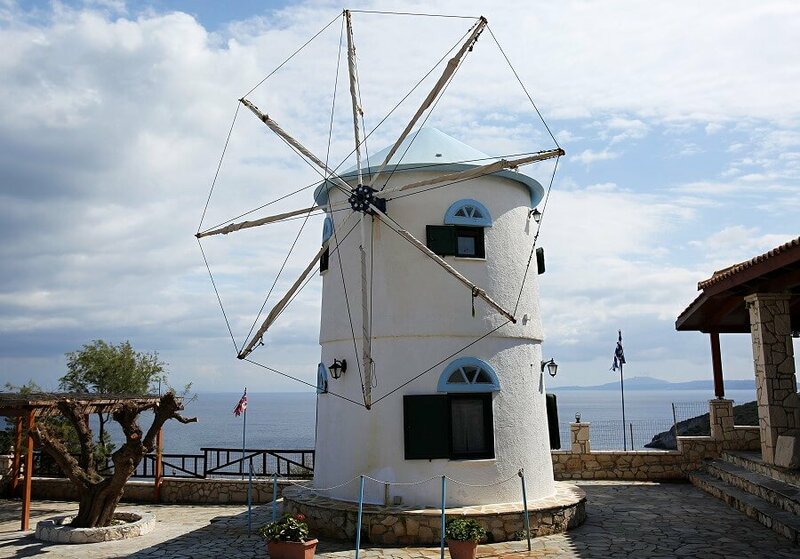 The Potamitis Brothers have transformed 2 windmills that were used to make flour into comfortable, unique accommodation. 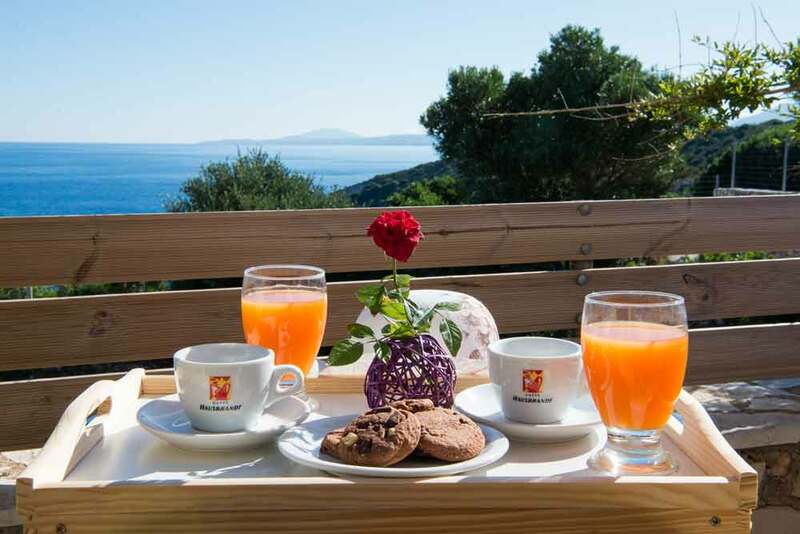 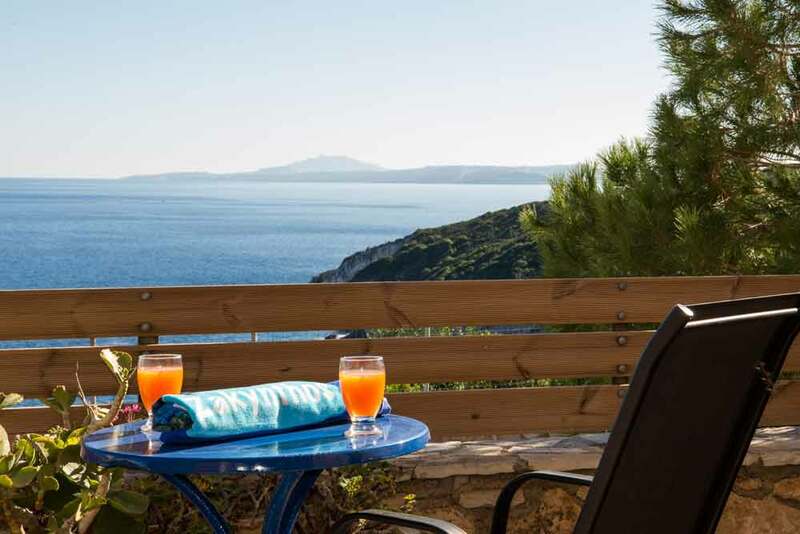 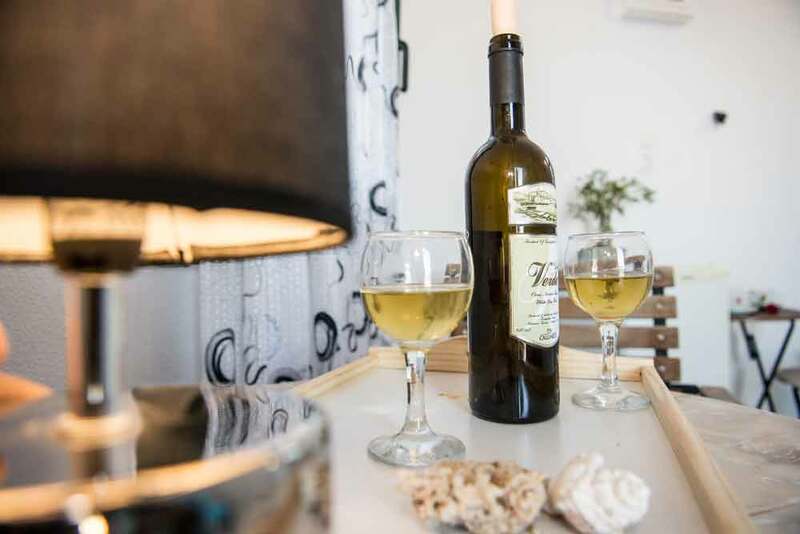 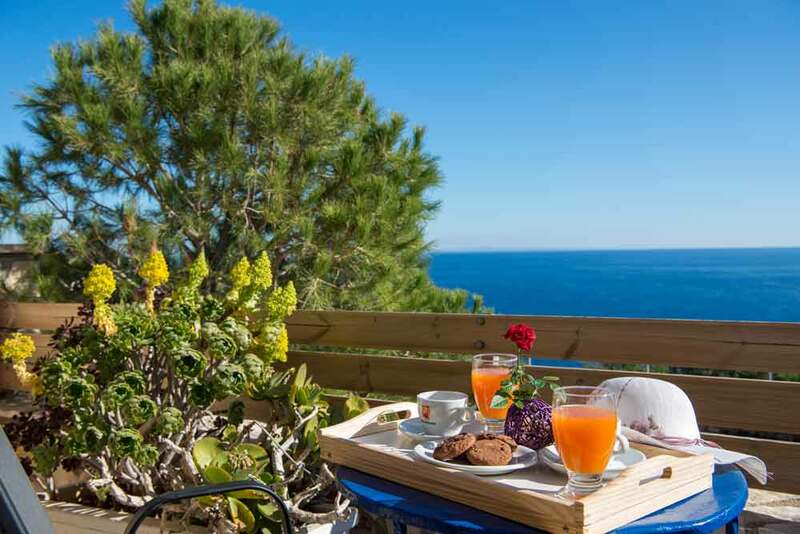 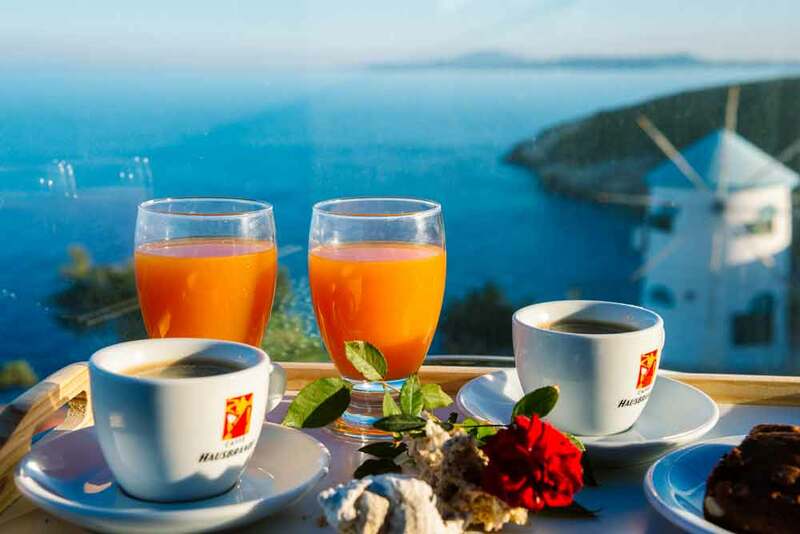 They offer amazing views of the neighboring island of Kefalonia and the crystal, blue waters of the Ionian Sea as they are located high up on a cliff. 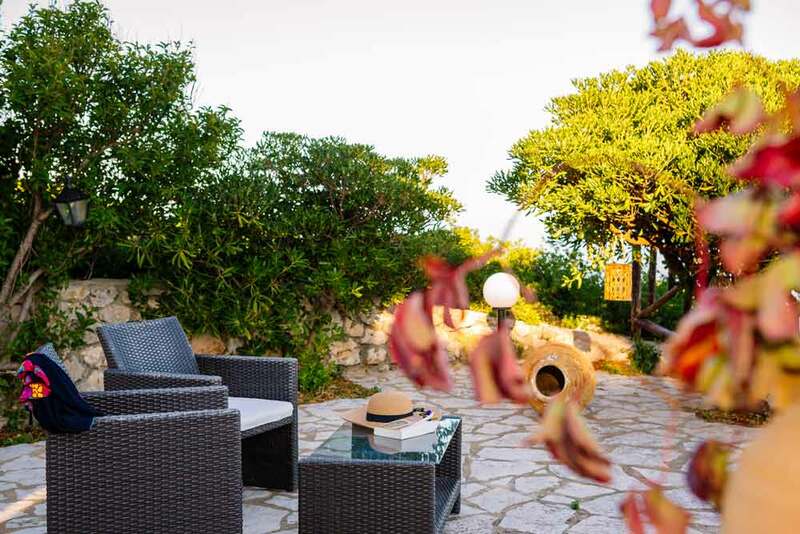 There is also a swimming point with decking where our guests can sunbathe and relax along with other visitors to the area. 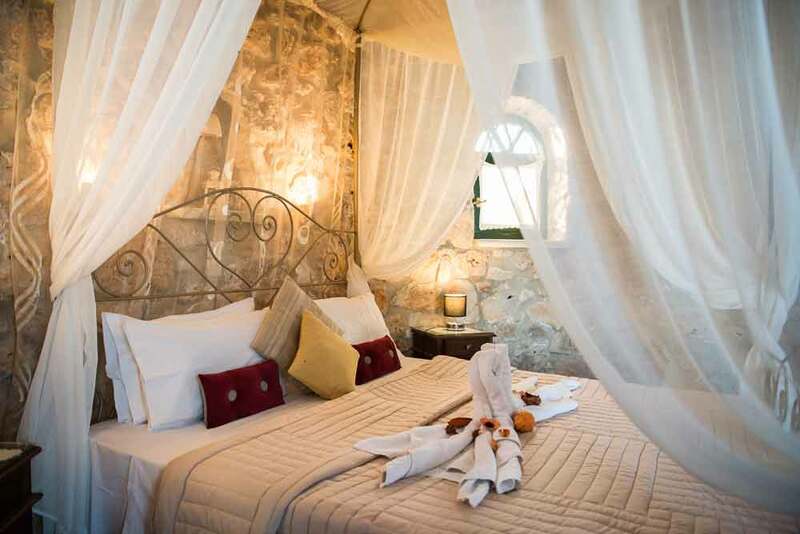 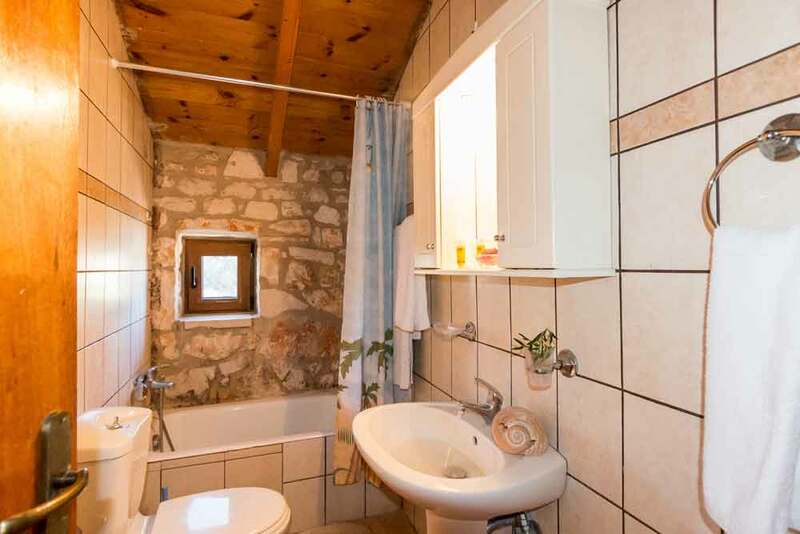 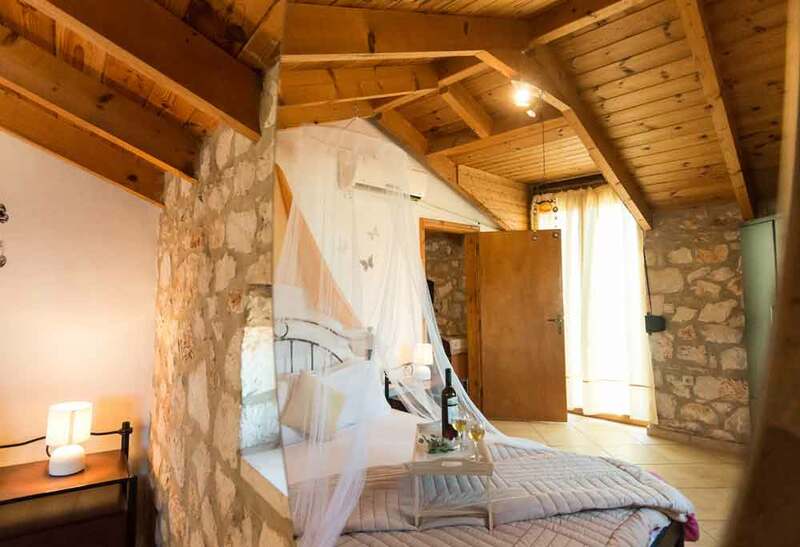 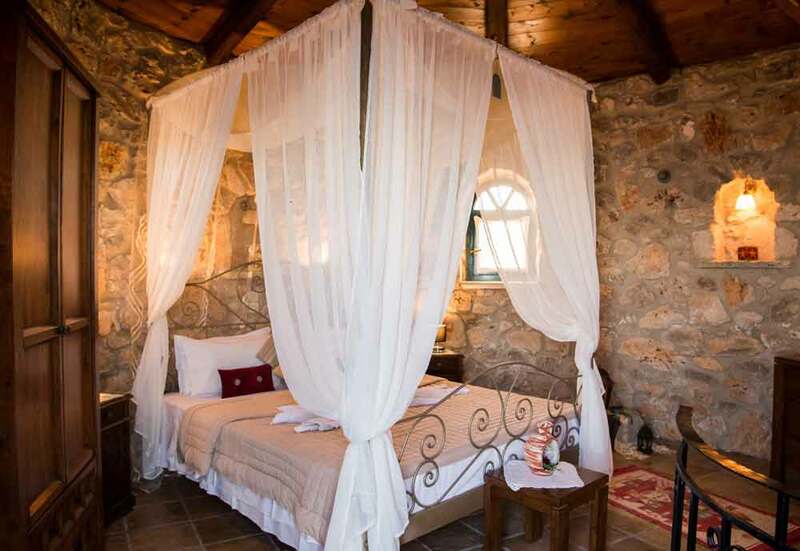 The stone windmill is suitable for 2 people and features 2 floors. 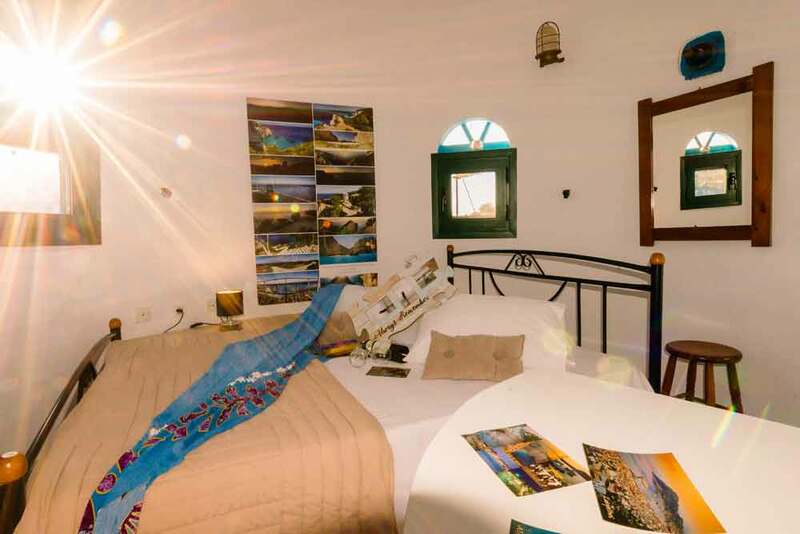 Upstairs, you will find a bedroom with a double bed. 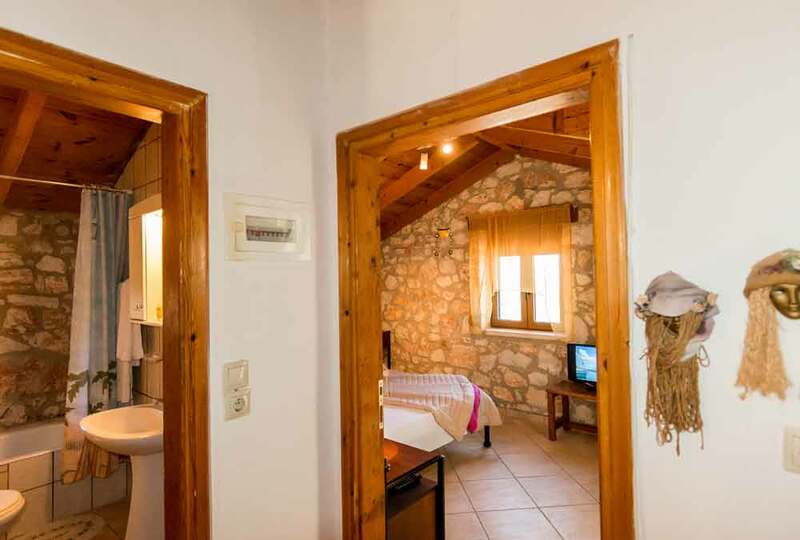 Downstairs, there is a living room with TV, a sofa, a bathroom with shower and WC and a small kitchen with fridge and kettle. 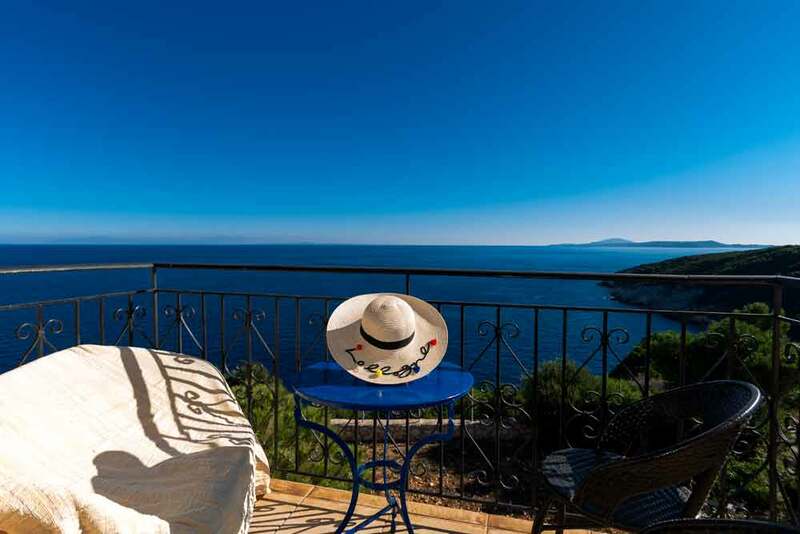 It also features air-conditioning and balconies with stunning panoramic views. 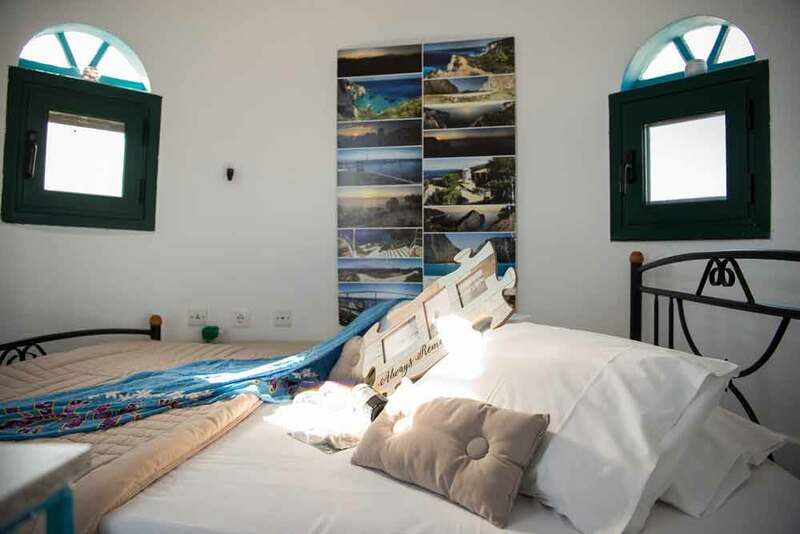 An extra person or child can sleep on the sofa. 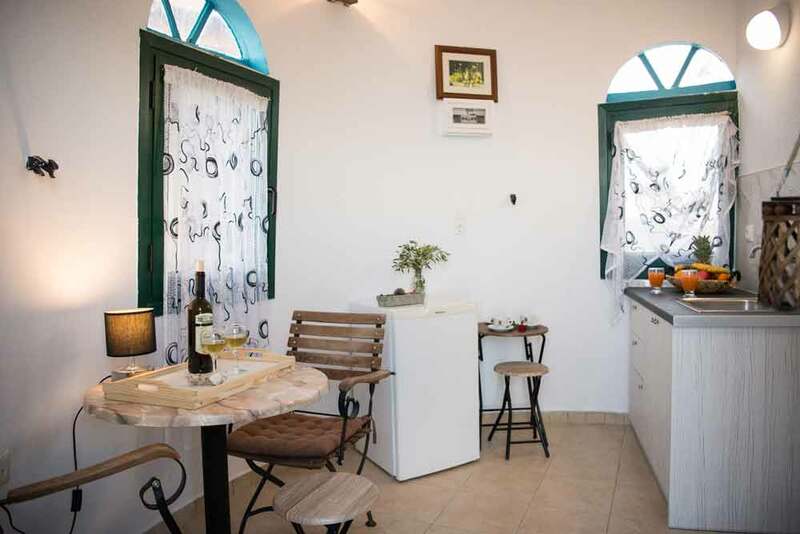 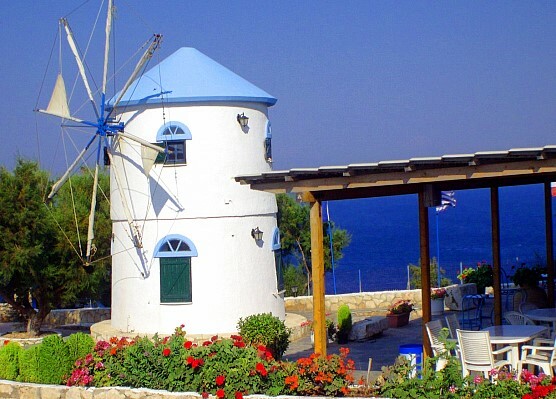 The white windmill is suitable for 2 people and features 2 floors. 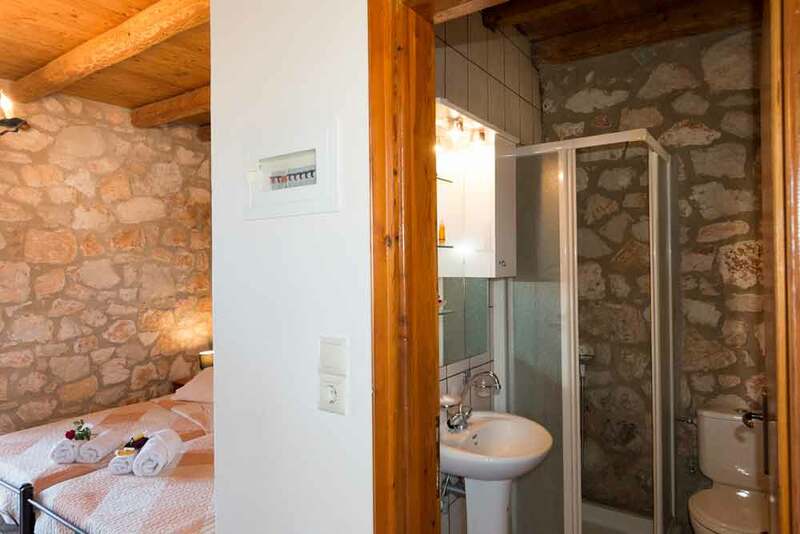 Upstairs, you will find a bedroom with a double bed. 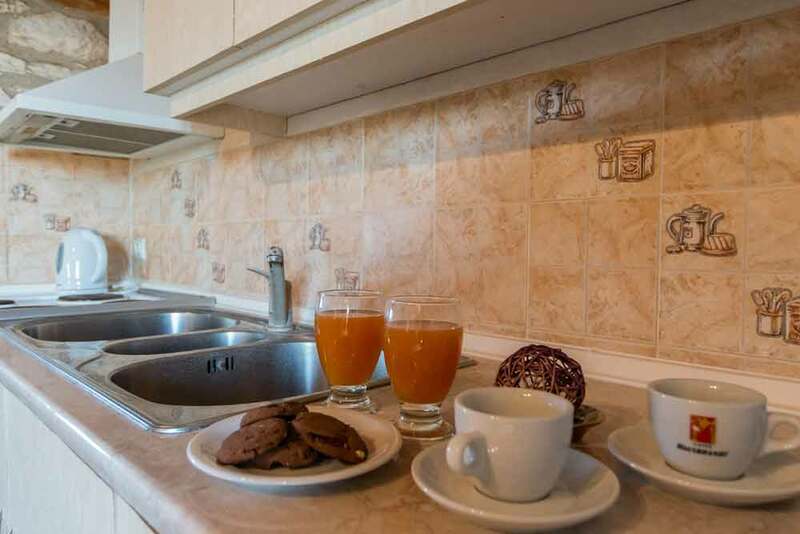 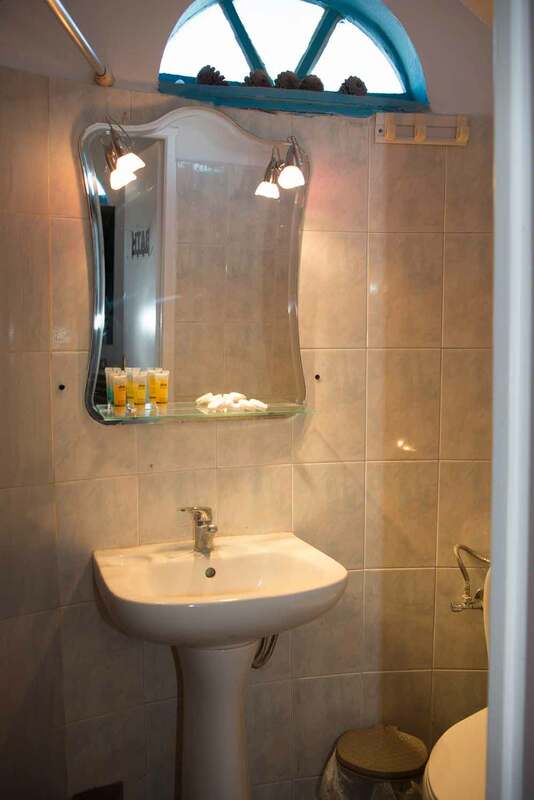 Downstairs, there is a living room with TV, a bathroom with shower and WC, a fully equipped kitchenette with all necessary utensils, fridge and kettle. 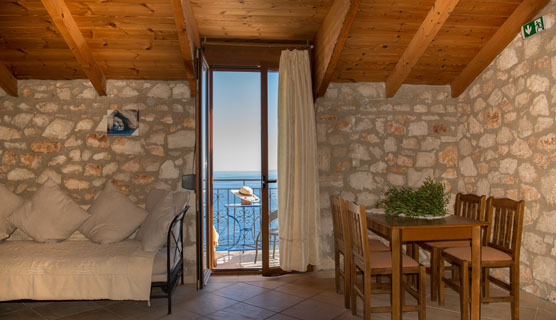 It also features air-conditioning and balconies with stunning panoramic views. 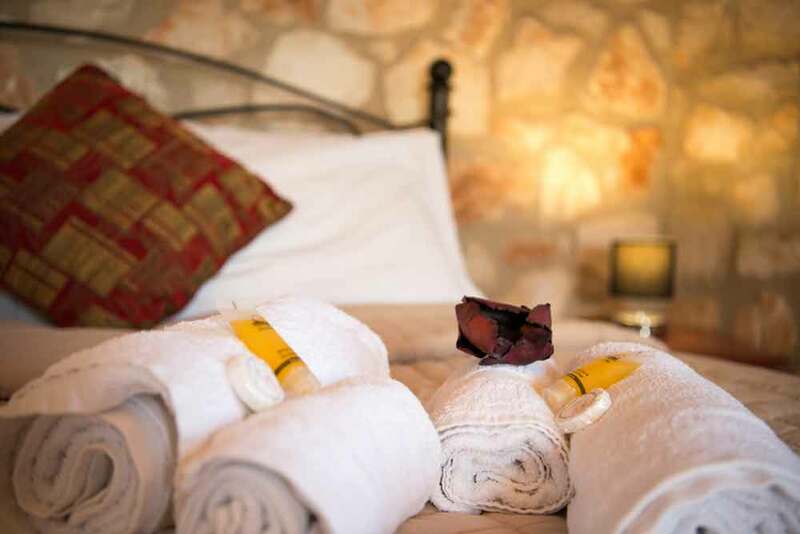 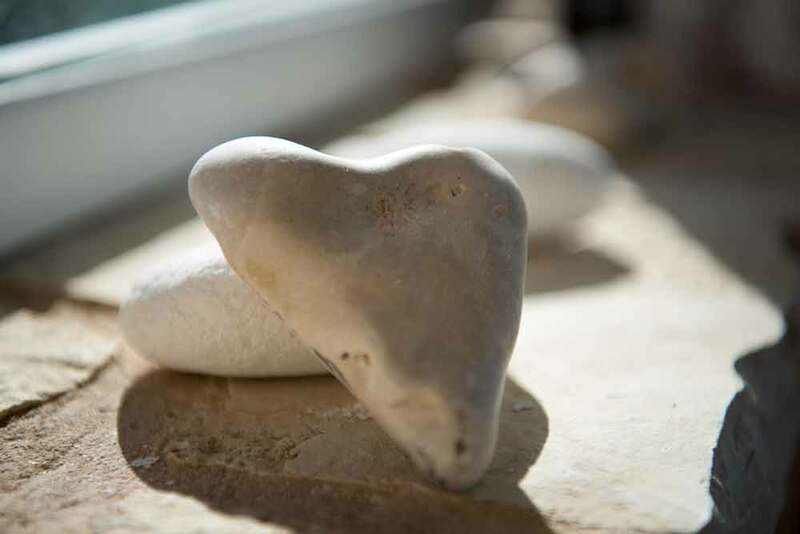 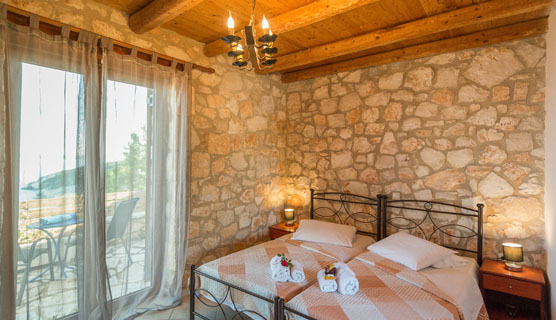 Each stone room is suitable for up to 2 guests. 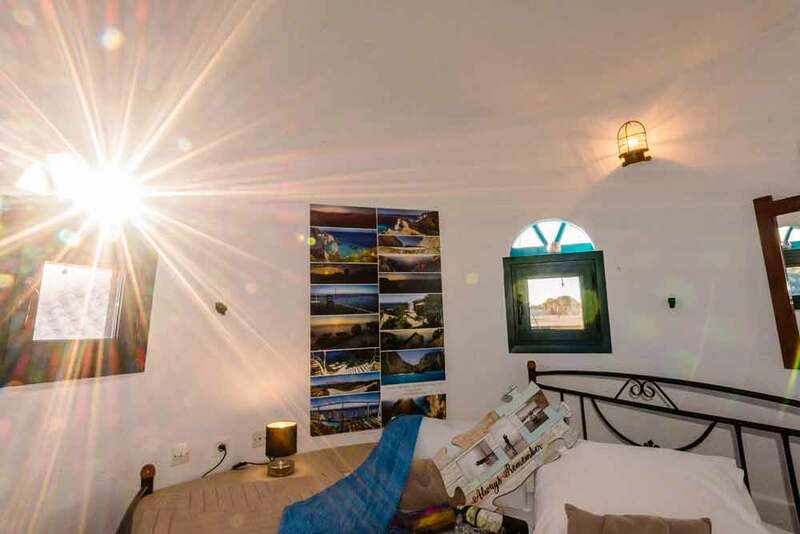 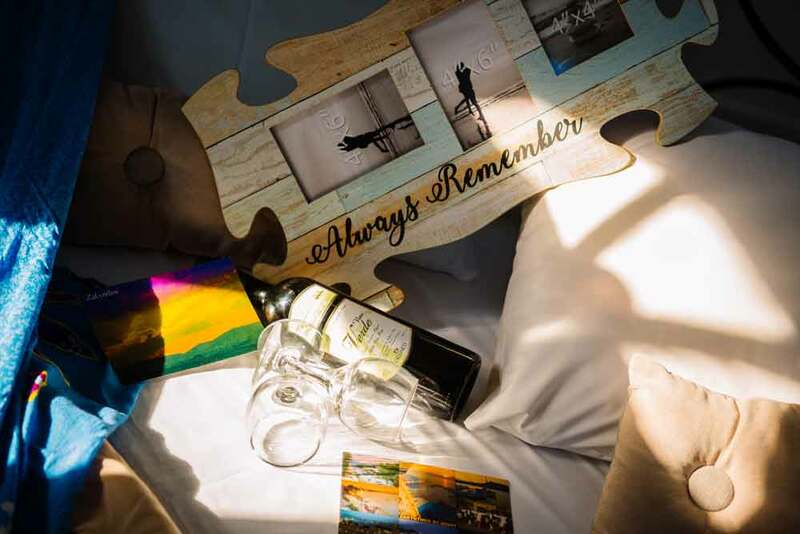 It features 2 single beds or a double bed, air-conditioning, bathroom with shower and WC and a spacious balcony with magnificent views, ideal for relaxing and enjoying the stunning natural scenery. 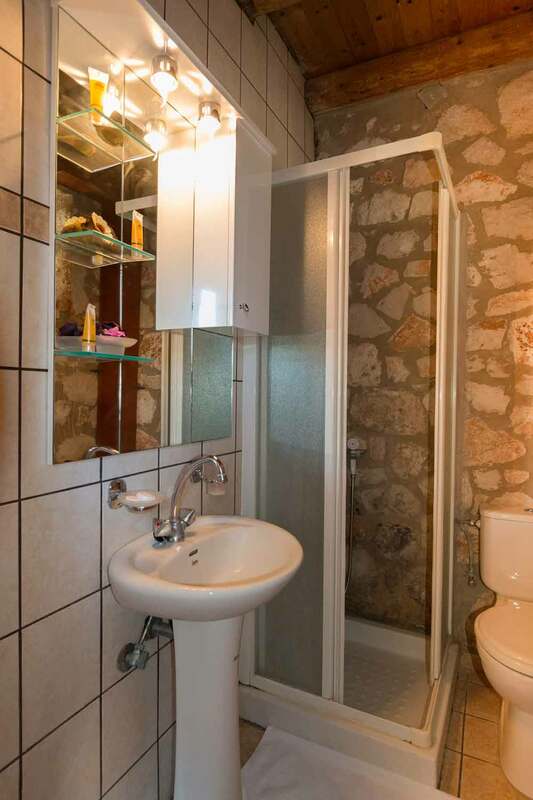 They are both located on the ground floor. 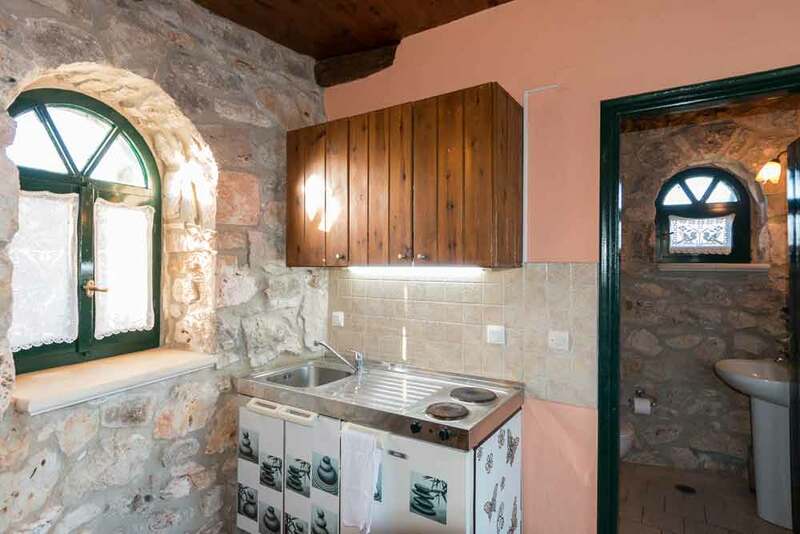 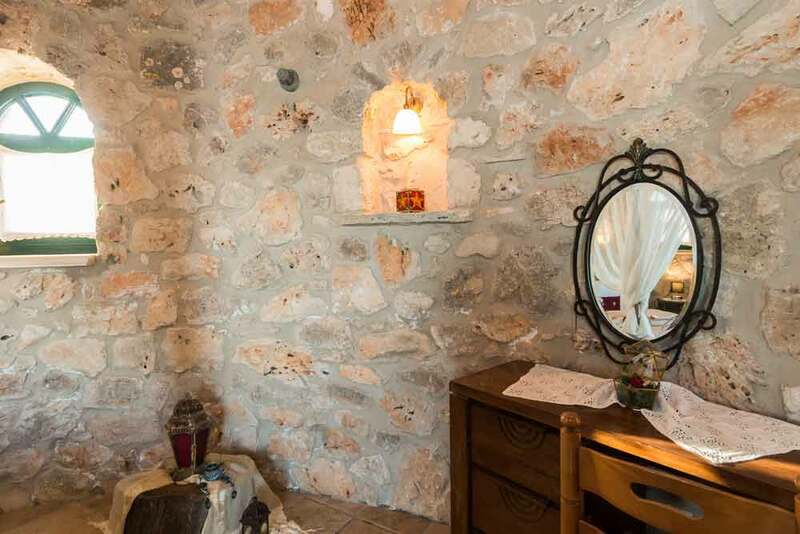 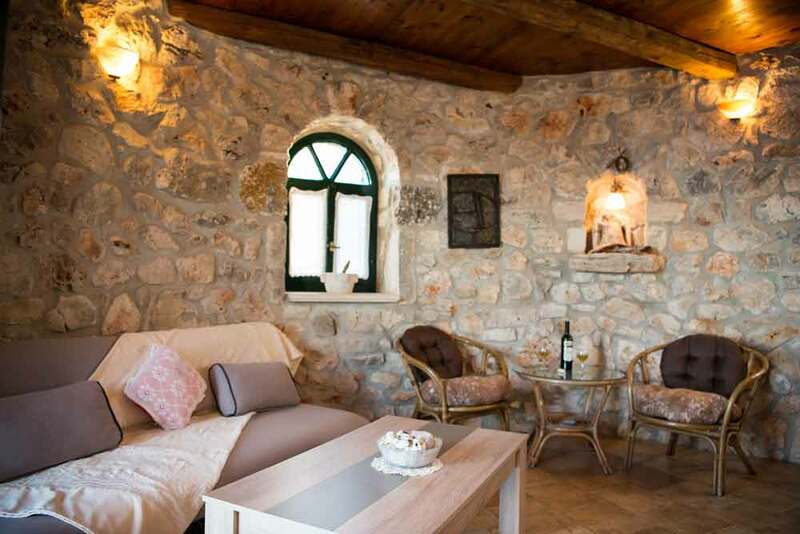 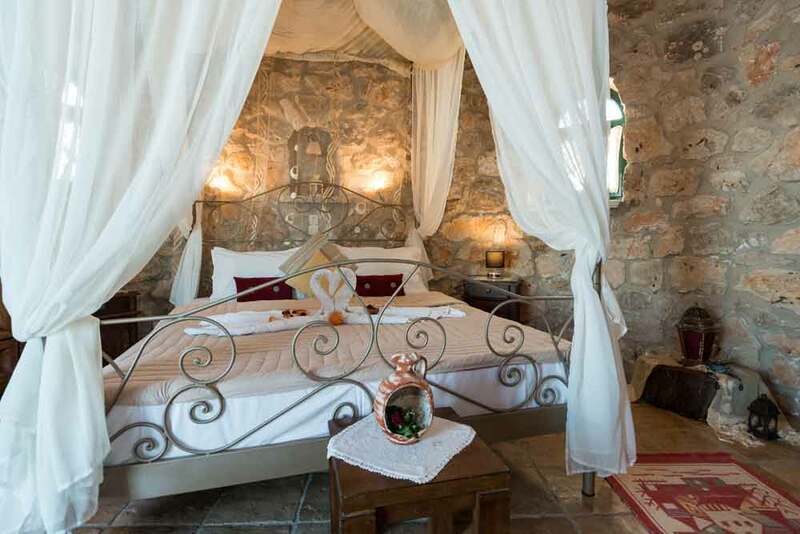 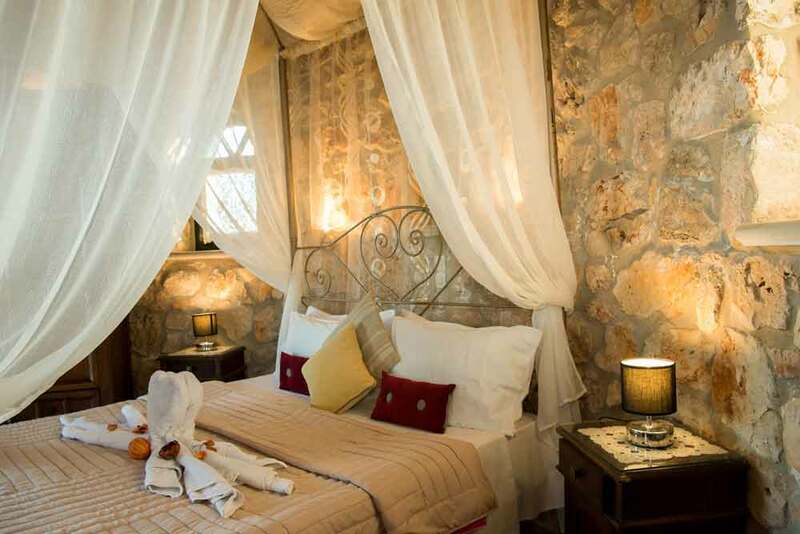 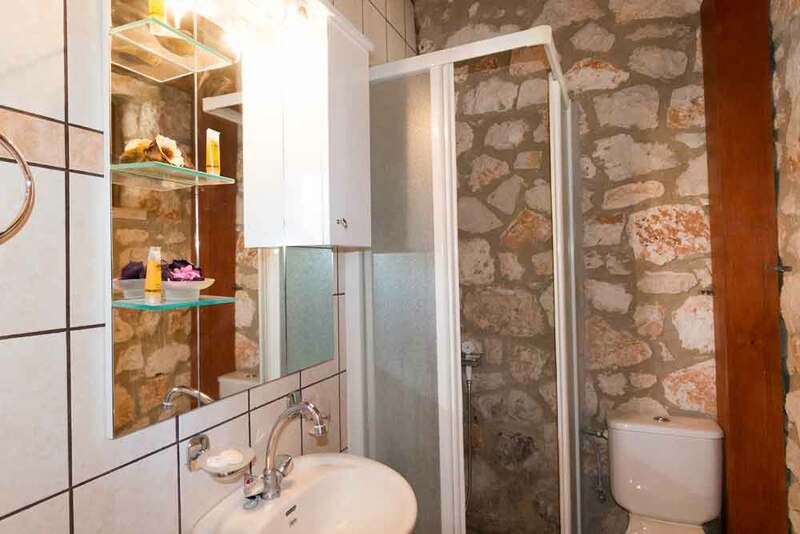 The traditional stone apartment is suitable for 2-4 persons. 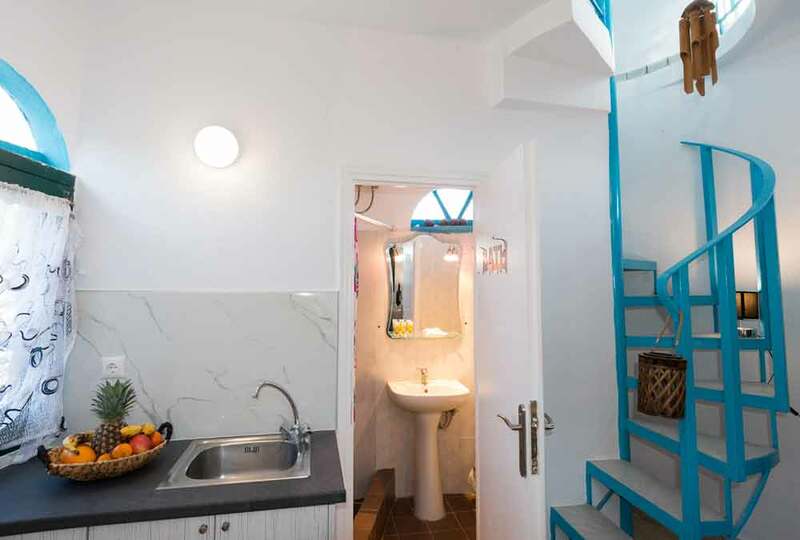 It features a bedroom with a double bed, TV, air-conditioning, open plan lounge area with sofa bed that can accommodate 2 people, fully equipped kitchen with cooker, oven, fridge and all utensils and bathroom with shower and WC. 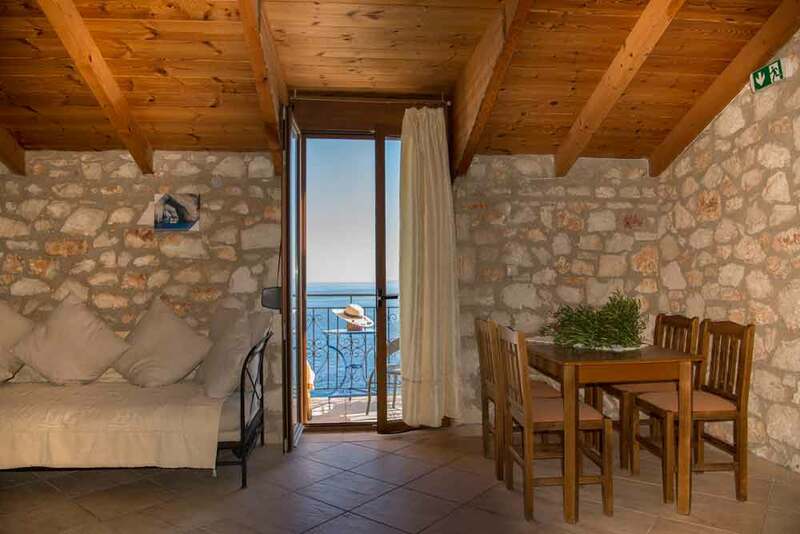 It is located on the top floor and offers amazing sea views.